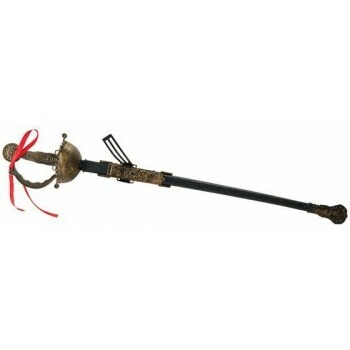 The pageantry, the gallantry……become the favorite swashbuckler of your dreams with ladies Musketeers fancy dress ideas. Fight alongside your modern day hero with renditions of costumes that take viewers to a different time. 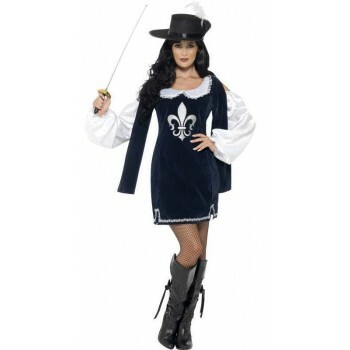 The costumes of ladies Musketeers fancy dress ideas harkens a different era, where things were blissfully simple. A time when civility was taught, encouraged and practice. Save a village peasant from evil land robbing barons with your Musketeer outfit in blazing glory! The ladies Musketeer girl costume evokes a Victorian era, done in noble shades of red and golden touches of embroidered scroll highlighting a cinched waist and short tiered ruffled skirt. Finish off the Musketeer look with our Musketeer hat! Playful and colorful, this hat displays the design of the times, thoughtfully produced with wide and curled hat brims and buoyant feathers protruding above.